The United States and all across the world, hundreds of thousands of people with disabilities are struggling with addiction. Getting the help needed to recover from substance dependency is difficult for anyone and can be even more difficult for those who are also impaired of sight and hearing or have any other physical disability. There are myriad options for recovery for those who are struggling with addiction; however, many of these treatments are not suitable for those with a disability. Most programs don’t have a staff equipped to properly treat those with a physical ailment, especially patients without sight or hearing. Oftentimes, patients with a disability need more help and focus on certain areas related to that particular disability. 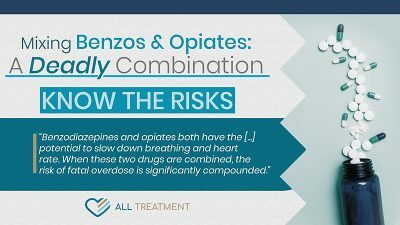 Getting proper treatment for addiction can mean the difference between life or death for so many, which is why it is critically important that those who are struggling find the right kind of help. This guide discusses different types of treatment, which types of treatment may work better for different cases, how to afford treatment, and resources needed for those with disabilities to make their way through recovery. Obviously, someone who is deaf or hard of hearing wouldn’t have the same results from certain types of treatment than those without the disability, unless there is a sign-language translator available. This can cause significant problems for that patient, given that communication is essential to recovery; therefore, getting the proper treatment necessary requires more attention in certain areas, as well as staff with the right training and knowledge to help. Finding a program that is able and equipped to handle patients who are without hearing is crucially important to the patient’s success. A few different types of treatment options that may offer programs dedicated to those who are deaf or hard of hearing are outlined below. Cognitive behavioral therapy (CBT) is a form of therapy in use in the past three to four decades, but it has only recently become a popular and effective form of addiction treatment. Still, it has been in use long enough to develop evidence to prove the validity of this type of program. CBT is effective for those who are struggling with other forms of mental illness alongside their addiction, such as anxiety, depression, and PTSD. It is also useful for those who flourish in an environment where they have control over a situation. One of the prime benefits of CBT programs for addiction is that they require significant participation from both the patient and the therapist. Rather than having the patient talk the majority of the time, therapist and patient have a back-and-forth conversation, one geared around an agenda that both set at the beginning of the meeting. CBT is also particularly useful for those who are looking for an immersive and effective outpatient program that doesn’t require a significant time commitment. Most often, CBT treatments last anywhere from five to twenty weeks, with once or twice-weekly hour-long sessions. This, of course, depends on the patient and the severity of their particular case and needs related to disability. Is CBT Plausible for Deaf Patients? CBT is a communication-based form of treatment; however, it can certainly be plausible for those who are deaf or hard of hearing. There are CBT therapists who can understand sign language or the patient can arrange to have someone available who does. CBT for addiction works by teaching the patient how to better understand themselves, seeking to show someone that their thoughts and feelings determine behavior and vise-versa. Learning what cues and triggers cause negative thoughts and feelings can, in turn, can help prevent negative and harmful behavior. CBT is completely interactive, and the patient is in charge of their own meetings by establishing a plan and agenda at the beginning of the session. From there, a patient will simply have guided conversations about their thoughts, feelings, and behaviors in order to understand the connection between the three. A CBT therapist will likely give homework assignments, usually comprised of different tasks and activities for the real world in order to put what is learned in therapy into practice. After several weeks, the therapist will help a patient to reintegrate back into “normal” life and help build a plan to continue the progression of recovery past treatment. Programs such as Alcoholics Anonymous (AA), Narcotics Anonymous (NA), and other 12-Step recovery programs are highly effective and have helped hundreds of thousands, if not millions, of people, recover over the years. The 12-Step philosophy is based around spirituality and belief in a higher being, as well as continued participation and commitment from those who have recovered from addiction themselves. Most of the counselors, meeting leaders and other staff who you’ll find in AA/NA and other 12-Step programs have themselves dealt with substance use disorders and have become sober by participating in the 12-Step program themselves. This makes for a great bond between the person in treatment, other group members, and staff. 12-Step programs are the most common in the United States, making up about 74 percent of all treatment programs, largely because of the success that has come from these programs. While the 12-Steps’s 30 percent success rate may seem low, that number comes from almost a century of research and evidence of success, given that AA/NA is the longest-running addiction treatment program in the United States. A 12-Step program is ideal for those who are looking for support from others who understand their situation, as well as those who are spiritual or religious. Similar to CBT, AA is also great for those looking for outpatient weekly treatment, rather than a long-term inpatient program. Also, since the reach of 12-Step programs is so well established across the country, you will always be able to find inpatient programs that use this same philosophy and curriculum. Are AA and Other 12-Step Programs Plausible for Deaf Patients? Not only are these types of programs found everywhere, but they also come in enough different configurations that they can suit anyone’s needs, especially those without hearing. How Do AA and Other 12-Step Programs Work? The 12-Step program works by leading patients into abstinence through the belief in a higher power. This philosophy believes that in order to change, one must admit that there is something greater than they are, and they must put their faith in that higher power to help them recover. This doesn’t happen overnight, though. It takes a long time of reaching out to others who have struggled with addiction, understanding and admitting to mistakes and attempting to make amends for those mistakes. Many people tend to turn away from 12-Step programs in an attempt to avoid bringing religion into their lives. It is important to note that the lessons taught in 12-Step programs include more than just faith in God: there is also faith in self and in others to make changes never thought possible. Inpatient addiction treatment can vary depending on the facility and the type of treatment. Some programs require you to be there for only thirty days in either a hospital or residential environment, while others can last as long as six months to a year. Whichever is right depends on the person’s unique situation. Outpatient programs are typically once or twice-weekly meetings and can also vary dramatically depending on the particular program. AA programs can have meetings every day or just once a week and usually involve a group, while CBT programs are typically once a week and are most of the time one-on-one sessions. Each program is different, but no outpatient program requires a stay in order to receive the treatment. When beginning to seek the proper treatment, communication is essential to recovery; unfortunately, not all facilities and programs offer the help and resources that someone who is hard of hearing would need in order to be successful. This very problem influenced the creation of Deaf off Drugs and Alcohol (DODA), a government-funded program that allows those who are deaf or hard of hearing to collaborate with addiction professionals who are fluent in sign language and familiar with the deaf community. Helping define the needs of the patient in order to build a communication plan. Providing additional counseling alongside treatment. Acting as an advocate for those in need. Communicating with treatment centers to better cater treatment to the patient. DODA is a great resource for those with a hearing disability looking to find the treatment right for them, and should be integrated into a search for the right recovery program—it shouldn’t end there, though. It is important to do individual research as well about different types of treatment in order to know what might work best. The internet is a wonderful tool for finding all sorts of information about addiction treatments. Get online and do some research on different programs, facilities, and resources. A great site to get started on would be DODA’s site, but there are many others as well. The Substance Abuse and Mental Health Services Administration (SAMHSA) is another resource of benefit in a search for the right treatment center. Not only does SAMHSA’s site offer much information on specific treatment facilities, but it also offers information that is valuable to anyone suffering from addiction. 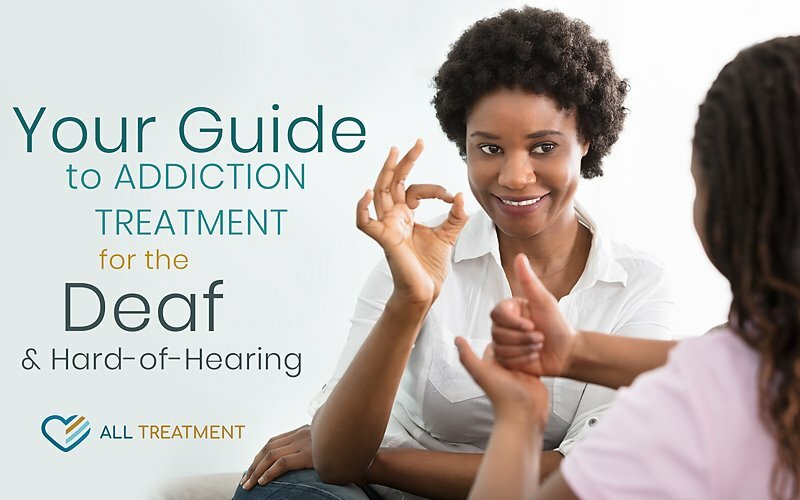 Another great resource specifically for those who are hard of hearing is the national directory for Substance and Alcohol Intervention Services for the Deaf (SAISD). This directory gives access to almost all facilities in the country that offer some sort of help for addiction in those who are deaf. Does this type of treatment make sense with my addiction? Are these facilities equipped to handle my disability? Do I feel comfortable with the curriculum? How long does this treatment program last? Will this form of treatment give me everything I need to continue in my success after it’s over? Asking questions is the only way to get answers. Once you’ve asked all the right questions, you can be sure that the treatment facility and program you’ve picked are going to be the right ones for your unique situation. The hardest part of recovery is actually starting, which can be really scary for someone who has no idea what to expect or what they are signing up for. Doing the proper research ahead of time should prevent feelings like this. Here is a bit of what to expect from treatment for someone who is deaf or hard of hearing. Treatment doesn’t happen on its own. One thing to realize right away when embarking on the road to recovery is that treatment isn’t something that just happens to you; treatment is something that takes your full participation and dedication. In treatment, you should expect that you will have to put in hard work mentally and even physically at times. You are the one who chooses to become clean, and you are responsible for making that happen. Recovering from addiction is simple, not easy. It’s obvious that recovering from addiction is not something that is easily done. However, just because it is hard doesn’t mean that it isn’t simple. If you focus on simplicity, you will begin to see that hard work doesn’t mean complicated work. There is no one-size-fits-all recovery program. It is important to know that one type of program doesn’t fit all unique situations, which is why it is crucial to look into each type of program yourself. That being said, it is also important to talk to others and use their input to make your decision. There is no set timeline for recovery. The only timeline you’re on is the timeline of life—don’t think that you have to feel perfectly “cured” within a certain duration. Because some people recover more quickly doesn’t mean that you will; conversely, just because you might recover at a more rapid pace than others doesn’t mean that their progress is flawed. Every type of recovery program will be a bit different, and no book exists to tell you exactly what to expect (unless you’re reading a book designed specifically for the program you’re entering). What you can do to get a better idea of what to expect from your addiction treatment is to get in contact with your prospective facility, or with programs like DODA, and ask as many questions as possible, until you feel like you have adequate information to be comfortable. One of the biggest worries in getting help with addiction is the cost of the program. Addiction treatment can be expensive, but many different options and resources exist, designed to help with the financial aspect of treatment. If you have either Medicare or Medicaid, you qualify for addiction treatment. With Medicare, which those who are deaf or hard of hearing do qualify for, treatment duration is unlimited and totally free. With Medicaid, you are also fully covered financially; however, you are limited in the duration of treatment, as you are only covered for up 190 days of inpatient treatment in one lifetime. If you don’t qualify for Medicaid, you can certainly use your own private insurance to cover some or all of the cost of treatment. The amount covered and what exactly is covered varies depending on the service provider, but, coupled with Medicare, insurance should likely cover the cost of addiction treatment. There are also many different financial resources in the form of grants and scholarships that different organizations like SAMHSA offer for those in need of financial assistance for addiction treatment. A thorough Google search and filling out some applications may lead to helpful financial assistance. Moving on with your life and leaving addiction behind is one of the hardest things a person can do, but it is also one of the most important decisions you’ll ever make. Change is necessary for progress, and change takes action. Remember that you are not alone and that there are adequate resources out there to help end the struggle of addiction.